We’ve seen people using dial gauges to level the build plate of their 3D printer more precisely for a while already, but we have just decided to try doing it ourselves just now. We’ve had a dial gauge, but we did not have the right adapter to mount it on our MakerBot Replicator 2 3D printer, but when we saw this on Thingiverse and after checking the 3D model we’ve decided to give it a try. This is an adapter to mount a Dial Gauge on a DaVinci 3D printer, but it seems that it fits just fine on the Replicator 2 as well. The uploaded 3D model does need fixing before attempting to print as it has some non-manifold segments that may mess up the printing result, depending on the slicer software used. The dial gauge mounting adapter may use some tweaking depending on the size of the gauge that you have, for our the mounting holes on the adapter are a bit lager, but nothing that cannot be fixed. The process of leveling the dial gauge to match the level of the printing head of the extruder could be a bit tricky as we are talking about tenths of millimeter precision here. Once you have everything ready you can quickly and easily attach and detach the adapter with the mounted dial gauge on it to precisely level the build plate and not rely on feeling or using methods such as a very thin piece of paper. The end result is a that you will be getting less failed prints and spend less time readjusting the build plate level between 3D prints. 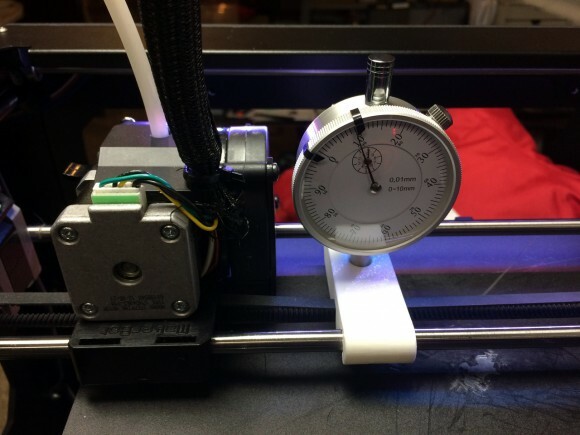 So if you have a dial gauge lying around you may try mounting it on your 3D printer and giving a try to the more precise level adjustment method. Today was a day for another upgrade to our MakerBot Replicator 2 3D printer – replacing the stock plastic X-End gear with an aluminium one that comes with installed bearings. The stock plastic gear works well, but since it is directly in contact with a metal shaft there is a chance that the gear might wear off in time and start giving you trouble. Normally it is recommended to apply some grease from time to time to the shaft in order to help the gear to move smoothly and not to give out some nasty squeaking sounds. This is where the Aluminum Idler kit for Carl’s ALU X-End or Stock X-End from Alm Gear comes into play to address this issue and make the printer more reliable on the long run. This upgrade is for improved long term reliability and to reduce possible future issues and not to improve the quality of prints or something like that. 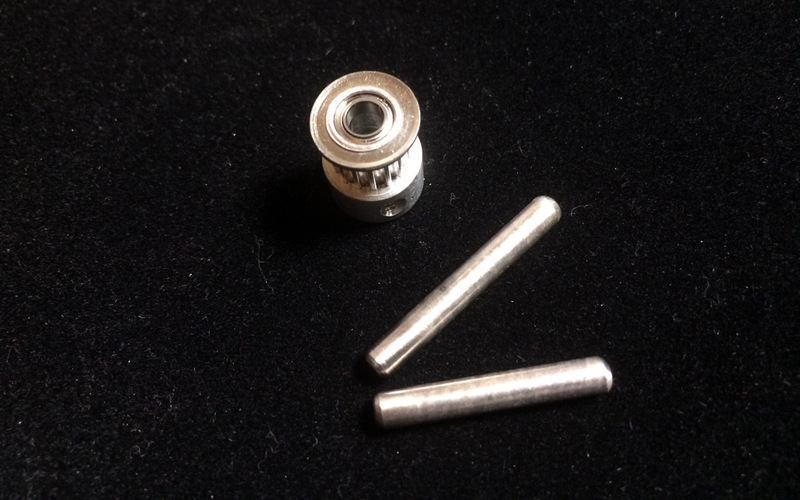 The Aluminium Idler kit is available for $18 USD and comes with Aluminum GT2 16T gear with bearings installed as well as two steel shafts with different length (the shorter one is for the Replicator 2) as you can see on the photo above. It is designed to be used as an upgrade for MakerBot 1, 2, 2X and some clones of these 3D printers. 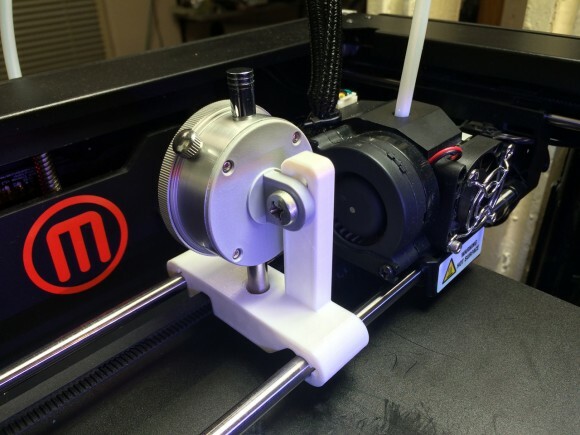 To replace the stock plastic gear you need to loosen the belt that moves the extruder over the X axis of the 3D printer and in order to do that you need to remove the 4 screws holding the stepper motor that moves the belt. 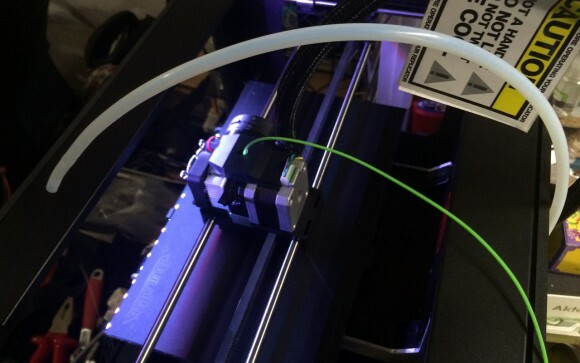 It is relatively quick and easy to do this modification, so ti should not take you more than a few minutes to do it and get back to using the 3D printer again. Again, this is an upgrade that can save you some possible future trouble and not something that will directly result in the improvement of print quality or performance of the device. So don’t expect to see any difference immediately after you install the new gear, unless of course your old one was already causing you some issues as a result from wearing off for example, especially if you left it unmaintained and has never applied some grease to help it run smoother. Last week we were having a weird issue with our MakerBot 2 Replicator 3D printer that was stopping to extrude filament properly ater 5 to 10 millimeters from the height of a print is normally printed, resulting in a failed attempt to print the object. The filament was just stopping to extrude properly or completely and we’ve had to unload and load it again to resume normal operation. It was not like a standard filament jam that requires the disassembly of the extruder to clean a filament jam. We have started to check the usual suspects that might be a cause of filament jams such as improper leveling of the build plate, problems with the heating temperature of the extruder, worn off nozzle, the filament guide mechanism and motor and so on. None of this however made any difference and we were still having failed prints regardless if it was a simple or more complex model, we have even tried using various filaments to exclude a possible issue with the PLA filament we’ve been using from MakerBot. Changing the filament did not help at first as we were changing complete spools, but once we’ve tried a few short samples of various filaments that were 10-15 meters and not on spool we got a hint of another unexpected possible issue. Using a shorter filament wrap for a test print we did not get it through the teflon filament guide tube that we use normally with the filament spools and surprisingly we’ve had no trouble with the filament stopping to extrude properly anymore and no failed prints. But bringing back a spool with filament that goes through the filament tube and the prints started failing again, so apparently the Polytetrafluoroethylene (PTFE) guide tube was causing the problems with the print. We did not expect that to be the cause as there were no visual or any other kind of signs that something is wrong with the filament guide tube. After all the idea of this filament guide tube is to make the feeding of filament easier and more problem free, but apparently it also can wear off over the course of few months of usage and starting to cause issues. Since we did not expect the tube to be the cause of the problem we were having it took us some time to rule out every other possibility that we considered first, but if you are having a similar issue you might want to temporary remove the teflon filament guide tube to see if it might turn out to be the culprit in your case. Next time we’ll have another new thing to consider when we start having issues with failing prints, and we are already waiting to get a replacement PTFE filament guide tube to see how long will the new one work without starting to cause troubles like the original tube. We are also going to be looking out for some alternative ways for improving the filament guide on the MakerBot Replicator 2 3D printer to make printing less problem free.